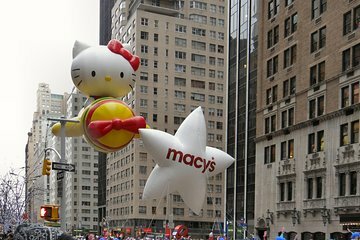 Enjoy a home base with a hot breakfast for the Macy’s Thanksgiving Day Parade in New York City. Your experience includes a breakfast buffet and use of the facilities in a restaurant located just half a block away from the parade route — a great place to get warm and comfortable throughout the morning. Please note that you cannot see the parade from the venue, but you’ll enjoy easy access to and from the parade route, an essential for chilly and crowded events in New York.